Epoch in a few sentences: Founded in 2004 by geologists, Bill and Liz Armstrong, Epoch has quickly developed a big reputation for handcrafted, small-production wines with abundant personalities. 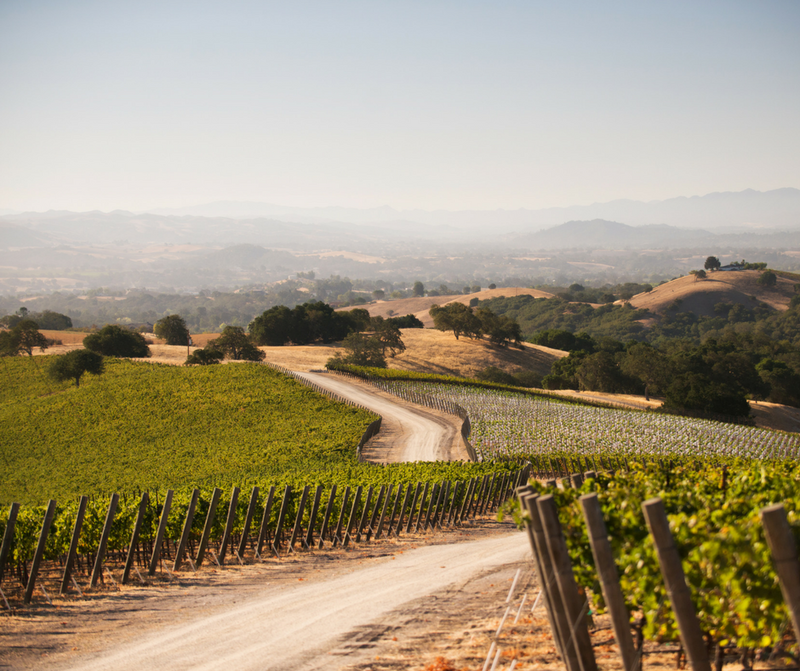 Located on the storied York Mountain, Epoch is an ultra-premium producer of wines from Rhone, Zinfandel, and Tempranillo varieties grown on their two west Paso Robles vineyards – Paderewski and Catapult. 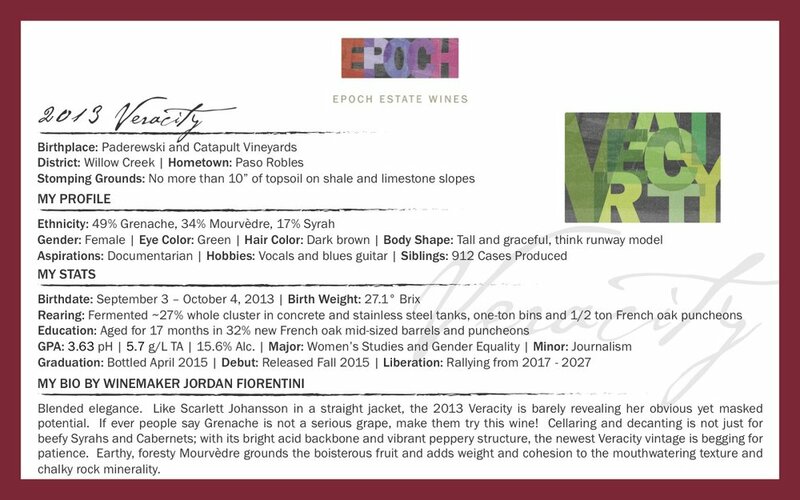 As the steward of both the historic York Mountain Winery property and the Paderewski Vineyard, Epoch is committed to the land it cherishes, the quality wines crafted, and the rich legacies now shared with the next generation of Epoch drinkers. True, the wine has always been the end goal, but the Epoch wine you drink always begins in our vineyards, land we feel abundantly blessed to own, cherish, and yes, farm. All of our fruit at Epoch comes from our two estate-grown vineyards, Paderewski and Catapult Vineyards. Both of these vineyards can be found in the Willow Creek District of west Paso Robles and both were fallow when we purchased them. Fallow? Yes, they were basically pretty piles of dirt (the proof is in the photo below), and we had the opportunity to turn these blank canvases into vines. The Armstrong kids at the then-fallow Paderewski Vineyard in 2004; Lindsey is the one on the right! Being geologists, my parents understood how fortunate we were to work with these intense soils that bared little resemblance to typical California soils: for Paderewski, this meant lean, rocky soils that were rich with limestone; for Catapult, this meant extreme rocky soils packed with silicious shale and little limestone content. Both were soils we loved and knew would make great wines; soils that encouraged the vines to struggle while finding nourishment deep within the ground. The reward of this hardworking vine is berries packed with wicked complexity and intense flavors. No one can claim to be a farmer without obsessing over the weather, so there is that too! Just like our soils, our climate here is intense. The Paso Robles wine region benefits from the largest diurnal temperature swing of any region in California. Daily, temperatures can vary as much as 50 degrees Fahrenheit, creating the ideal environment for achieving that perfect acidity in ripening wine grapes. Working with blank canvases, both vineyards’ clone selections were carefully chosen to create the perfect match between soil and vine. The vineyard blocks were meticulously laid out based on their unique exposures, soil attributes, and mesoclimates. Today, each block is happily producing fruit specific to their exact location. Our holistic and site-specific wine-growing goals have naturally led us to organic and biodynamic farming practices. These methods allow us to nurture and protect our vines while still abiding by our low impact and low demand philosophy. It feels weird to have farmers and winemakers listed as two separate pieces of the Epoch puzzle when we fully subscribe to the philosophy that nothing outside of our vineyard, climate, and grape varitety should affect how the wine tastes; however, as we all know, critical decisions must be made once the fruit makes its way to the winery. Our Winemaker, Jordan Fiorentini, works closely with our Vineyard manager, Kyle Gingras, throughout the year to watch over our vines, so the transition from the ranches to the winery is seamless. Hailing directly from France, these concrete eggs have been with us since the beginning. The egg shape allows the wine to continually flow inside, thus requiring no need for battonage (lees stirring). Each egg holds around 180 gallons or 75 cases of wine. Crafted by hand in Florence, Italy, this fragile vessel is made by affixing coils of wet clay together. We are still experimenting with the amphora, but we have used it for both fermentation and aging. It can hold 132 gallons or 55 cases. Amphorae were originally used in ancient Rome and Greece for storage of food and wine. We like diversity when it comes to our oak. We use various sizes of barrels for aging as we are constantly searching for what fits each wine best. In general though, Jordan does prefer puncheons. Almost all of our oak barrels and puncheons are from France, however, a few barrels hail from Hungary and are used to age our Tempranillo. As a winemaker, releasing the wines I’ve made to the world is always a thrilling and anxious moment, especially because I cannot be in the room with the consumers when they pop and pour the bottles. A normal winemaker responsibility is to write tasting notes of their wines, usually upon release, to explain the wine to the world. I have written such tasting notes for many years, however I always longed for a better means of communication, because I experience wines in more than just words. Mouthfeel and texture are two important, intricately linked sensations in winemaking and are the grail by which I make and experience wine. A wine’s texture is its structure, its physicality and the backbone of its essence. The texture is filled in with all the wonderful aromas and flavors, which are ever changing from the obvious to the sublime. Being a very visual person and wanting to communicate these sensations that are very difficult to describe with words, I experimented with drawing my tasting notes with graphite on paper versus just writing words for them in 2012. At that moment, my visual tasting notes, what we call VINPRESSIONS, were born. Each VINPRESSION is my best attempt at communicating with the consumer in a personal, visual format about how the wines smell, taste, and feel while they are being tasted. Instructions for reading each VINPRESSION are quite simple – read these drawings from left to right as the wines travel to the front, middle and back of your palate. Although the VINPRESSION looks abstract, I draw them as if they were on a four-quadrant graph. The left side of the graph describes the sensations on the front palate (as the wine enters the mouth), the center of the graph explains the mid palate and the right of the graph is the back palate (the finish). Shown on the drawing, if the lines drop to the bottom left quadrant, the wine is hitting the bottom of my front palate, and likewise if it ends high on the top right quadrant, it touches the back top of my palate. A round, full wine touches all quadrants of the graph and if it has no hard edges on the palate, there will be no sharp angles, just round ones. A wine that finishes long will show extending lines to the right. Sometimes a wine’s tannins curl back and prickle the mid and front palate after swallowing and this is shown too through lines moving from the right to the left. I do give my overall impression of the wine in words on the VINPRESSION to start the tasting experience. I also use words in the context of the drawing at the time and place they are experienced on the palate. 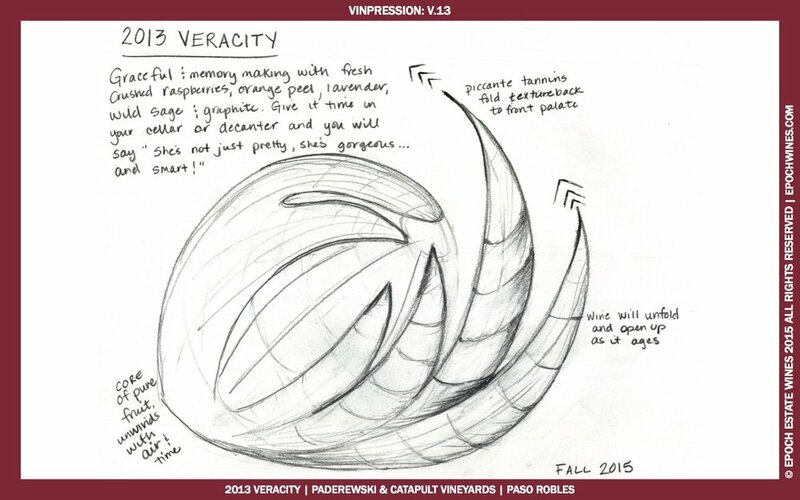 These VINPRESSION tasting notes are an exciting journey, and with each new tasting note I “draw,” I learn more about how to better communicate the way wines taste. I hope you have fun with these sketches and that they broaden the way in which you think about wine – they have and continue to do so for me. learn about the historians & memory-makers of Epoch Wines (Part 2), here.